这算是深度学习领域里比较令人兴奋的应用。它的思想很简单，CNN模块负责提取图像的特征，RNN/LSTM模块负责生成文字。 在两个模块之间会有两者共享的隐式表达(hidden representation)， 我们可以认为它是用来表示图像的意思(semantic meaning). Szegedy, C., Liu, W., Jia, Y., Sermanet, P., Reed, S., Anguelov, D., … & Rabinovich, A. (2014). Going deeper with convolutions. arXiv preprintarXiv:1409.4842. Hochreiter, S., & Schmidhuber, J. (1997). Long short-term memory. Neural computation, 9(8), 1735-1780. Graves, A., Mohamed, A. R., & Hinton, G. (2013, May). 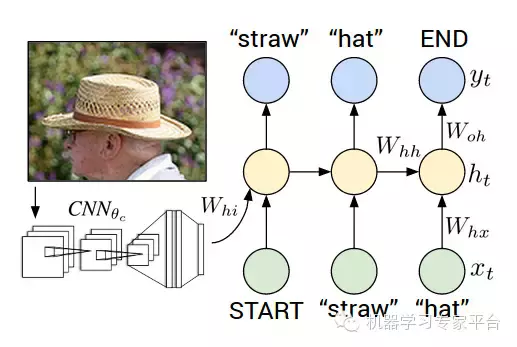 Speech recognition with deep recurrent neural networks. In Acoustics, Speech and SignalProcessing (ICASSP), 2013 IEEE International Conference on (pp. 6645-6649). IEEE. Graves, A. (2013). 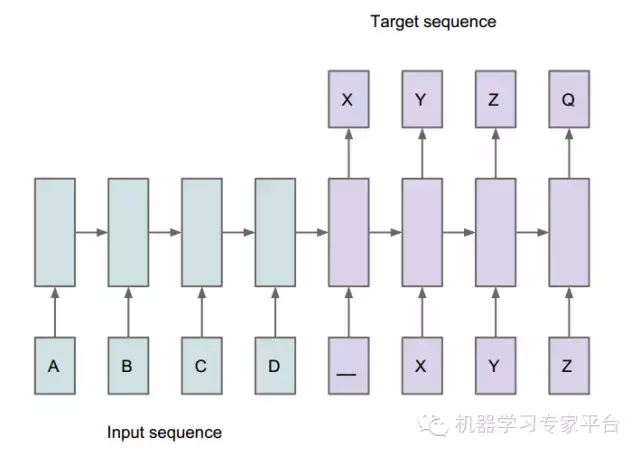 Generating sequences with recurrent neural networks. arXiv preprint arXiv:1308.0850. Bengio, Y., Lamblin, P., Popovici, D., & Larochelle, H. (2007). 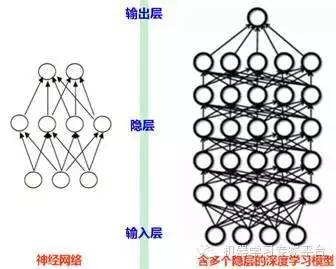 Greedy layer-wise training of deep networks. Advances in neural information processingsystems, 19, 153. Donahue, J., Hendricks, L. A., Guadarrama, S., Rohrbach, M., Venugopalan, S., Saenko, K., & Darrell, T. (2014). 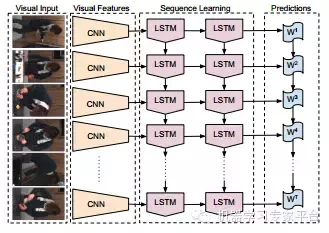 Long-term recurrent convolutionalnetworks for visual recognition and description. arXiv preprint arXiv:1411.4389. 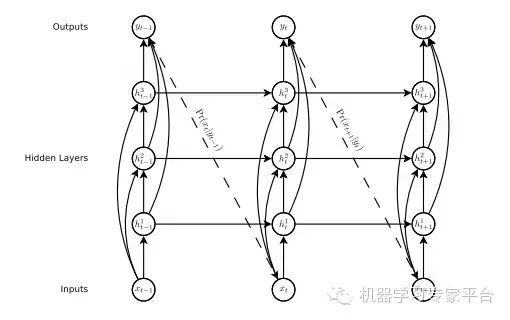 Karpathy, A., & Fei-Fei, L. (2014). 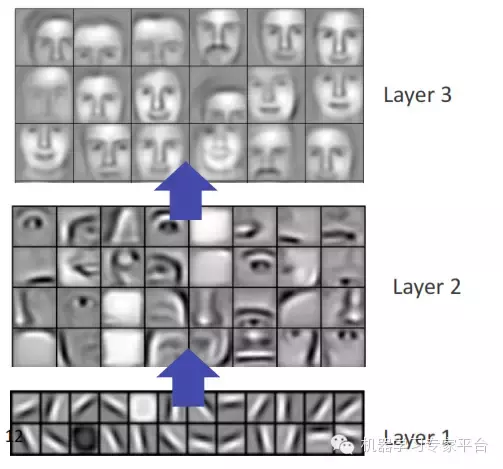 Deep visual-semantic alignments for generating image descriptions. arXiv preprint arXiv:1412.2306. Socher, R., Bauer, J., Manning, C. D., & Ng, A. Y. (2013). Parsing with compositional vector grammars. In In Proceedings of the ACL conference.